Sarah Rogers Please Note: Whilst every care is taken in checking promoted links, we cannot accept responsibility for your use of third party web links. Left side: L: R: Queens South Africa; Kings South Africa; 1914-1915 Star; British war medal; and the Victory medal. 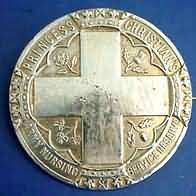 Right side: Princess Christian Nursing Reserve cape badge, number 623. 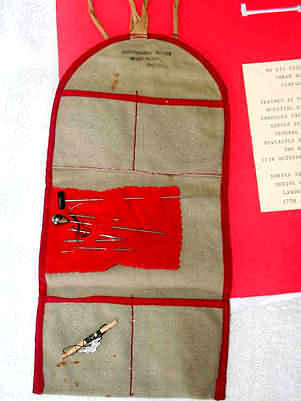 Three ‘pips’ - Rank badges. 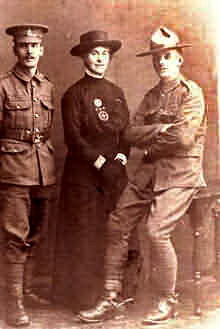 Seated L to R: Alfred born 1879, Emily (their mother) born 1846, Harry born 1876. Both James the eldest son born in 1870 and their father Joseph predeceased the photograph. 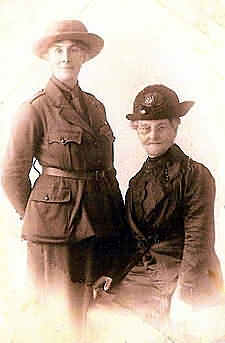 Alice and her mother Emily (seated). 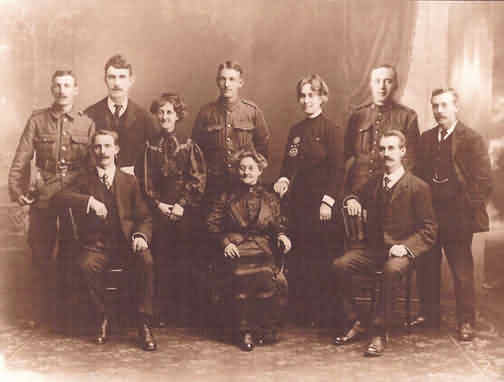 Alice became associated with the International YMCA, but the ceasefire curtailed her activities and she diverted her attention to the nurses’ registration movement. Alice in tropical uniform, circa 1921. Alice’s name may occur in the historical nursing journals in 1922 and 1924 as presenting and chairing high profile conferences and lectures which appear to be in London. Alice registered as a State Registered Nurse in October 1924, her registration number was 33464. She stated that she had trained from 1895-1897 (Certificate) and from 1899-1900 at Birmingham General Hospital, presumably including the latter year to meet the criteria for three years training. 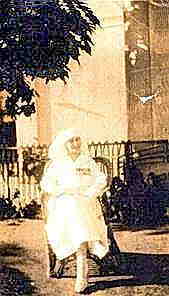 By 1937 Alice aged 65 had become the matron of a nurse’s home in London. In 1942 she is reported in several papers as stealing the limelight outside the gates of Buckingham Palace where she was waiting to see a relative Douglas Fisher who had received the British Empire Medal for gallantry during the air raids on Coventry. (32) By then she would have been 70 and is described as a ‘…little old woman, wearing the medals of two wars…(33) The paper continues ‘To-day Miss Claridge is hostess to the servicemen of many nations at the Overseas Club. To thousands all over the globe she is just ‘matron’. They did not know her name but they all love her.’(34) She visited her brother Joseph in the Barony hospital, Nantwich several times in 1943. (35) At the age of 77 she had a serious accident in 1949 which restricted her mobility and she died in London in 1957 aged 85. Courtesy of The Potteries Museum & Art Gallery, Stoke-on-Trent. This is in the style of a number featured in The Tatler from October 1917, described as ‘Portraits of Power’. (36) Lieutenant Percival Anderson was born in York in 1885, and had trained at York School of Art, Fraser College in Arbroath and Paris. He worked mainly as a portrait painter of as The Tatler said …'beautiful women'…(37) During WW1 he served in the Army Service Corps, and the two other image of women, The Marchioness of Londonderry and Mrs Burleigh Leach are also painted in a soft and feminine style- unlike the more severe drawings of the men. Sarah Alice Claridge was clearly an intelligent and dedicated nurse. 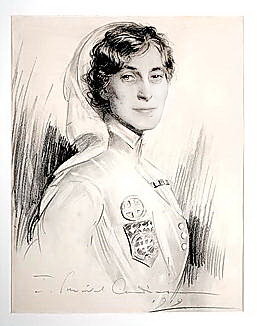 She showed tremendous courage and had a wonderful spirit of adventure, travelling widely in Africa and Europe and participating in three wars at a time when medical resources were extremely limited. She contacted malaria and must have been exposed to numerous infections when immunisations and antibiotics were unavailable. She was therefore physically fit and healthy. She had a gentle and caring nature yet had great strength and determination. She played a prominent part at the Royal College of Nursing and wrote with interest and enthusiasm. Early photos show her with a twinkle in her eye. 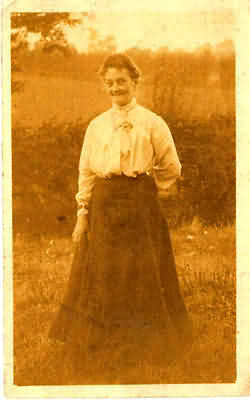 She mixed with many prominent people in London yet never forgot her roots and was held in deep affection by her family. Dr. Patricia Mumford (Great niece); Lt. Col Dr. Kieron Spires; Will Burgess and Peter Maleczek. 1. Sarah Alice Claridge was known by her family as Alice, she is also referred to Alice in some historical nursing journals. a member or had been given any award; letter from administrator at f St. John’s Gate, 9 January 2009. 4. http://search.findmypast.co.uk/search-world-records/register-of-the-royal-red-cross-1883-1994, accessed 31 December 2015. 5. General Register Office, Register of Birth for Sarah Alice Claridge. 6. Mary was born illegitimately three years before her mother married Joseph. It is not known who her father was. suggests that she may have been a ‘paying probationer’. Nursing Institute; No records appear to survive for this institute, reference to it may be found in local papers. http://www.kingscollections.org/nurses/a-c/claridge-sarah-alice-4029?searchterms=claridge, accessed 30 December 2015. 11. BJN, 3 October 1914, p260. 12. The Nursing Record and Hospital World, 30 June 1900, p.514; http://britisharmynurses.com/wiki/index.php? title=Special:IframePage/Database, accessed 29 December 2015.
casualty-lists accessed 29 December 2015.
of nursing as a profession’, Unpublished PhD thesis, University of Manchester, 2013. 15. BJN, 3 October 1914, p260. 16. http://britisharmynurses.com/wiki/index.php?title=Special:IframePage/Database, accessed 29 December 2015. 17. The City of Stoke–on-Trent Bi-Monthly Review, July 1952, p2. 18. BJN, 1 October 1904, p.264. 19. The City of Stoke–on-Trent Bi-Monthly Review, July 1952, p2. 20. The City of Stoke–on-Trent Bi-Monthly Review, July 1952, p2. several in London, not just Great Ormond Street. It is could be established which one records of her time there might survive. 22. Taken from notes by her great niece Patricia Mumford, 2009; The City of Stoke–on-Trent Bi-Monthly Review, July 1952, p2. 23. BJN, 3 October 1914, p.260. 24. BJN, 3 October 1914, p.260. 25. Taken from notes by her great niece Patricia Mumford, 2009. 26. BJN, 30 January 1915, p87. 27. BJN, 7 November 1914, p.367, Miss Swift was her successor. 28. Now available online via the National Archives. guides/british-army-nurses-service-records-1914-1918, accessed 29 December 2015.
http://www.britishnewspaperarchive.co.uk/viewer/bl/0000272/19420226/053/0004, accessed 30 December 2015. 36. http://blog.maryevans.com/2013/06/portraits-of-power-by-lieutenant-percival-anderson.html, accessed 30 December 2015. 37. http://blog.maryevans.com/2013/06/portraits-of-power-by-lieutenant-percival-anderson.html, accessed 30 December 2015. 38. D. Westmacott, Sarah Claridge, a pioneering nurse PUTN, COHSE Journal 1957. 39. http://www.kingscollections.org/nurses/a-c/claridge-sarah-alice-4029?searchterms=claridge, accessed 30 December 2015. 40. http://www.kingscollections.org/nurses/a-c/claridge-sarah-alice-4029?searchterms=claridge, accessed 30 December 2015. © Sarah Rogers, 9th January 2016.